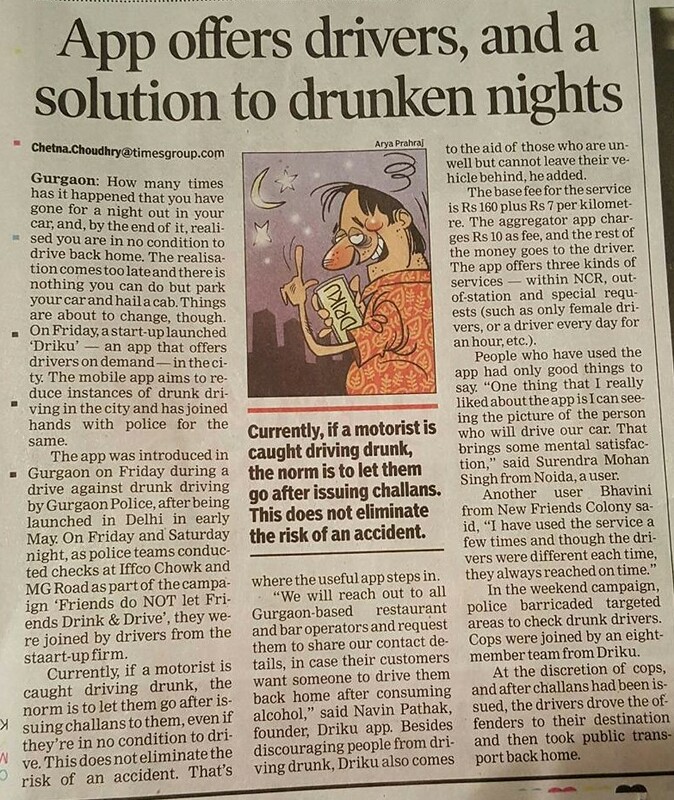 DRIKU's team really appreciate and thank The Times of India for covering DRIKU's campaign against drunk-driving in Gurgaon. Drinking and Driving are worst enemies. Support 0 (zero) tolerance for any amount of alcohol in blood stream while driving. more.. 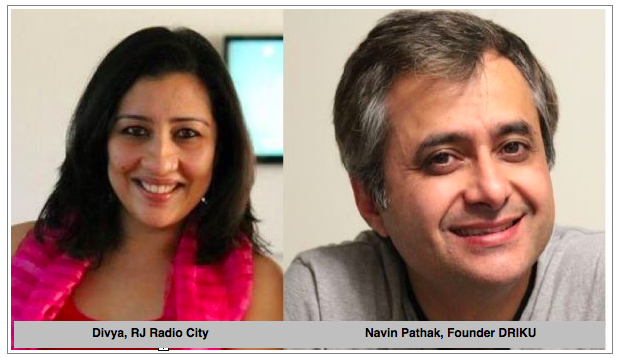 Audio of the interview DRIKU Founder Navin Pathak in an interview with Radio City's RJ Ms. Divya. Here he is talking about getting a verified driver on demand in Delhi using DRIKU App. more..
Haryana News Channel telecasted DRIKU's campaign 'Friends don't let Friends Drink & Drive' on their television Channel. more..